This article is about the raid. For the recruitable character, see Yggdrasil. 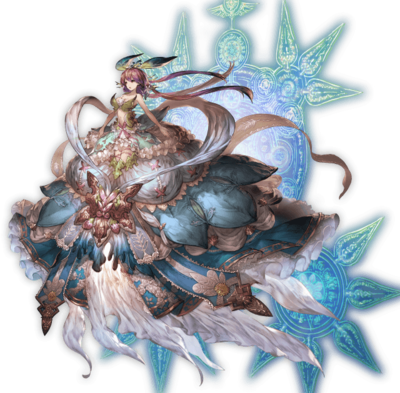 For the SR summon stone, see Yggdrasil (Summon). For the Omega summon stone, see Yggdrasil Omega. For the promotional summon stone, see Yggdrasil (Skybound). Yggdrasil is one of the bosses of the main islands. She's first encountered on Lumacie Archipelago. Outside of the Main Quests, she is a raid boss. You cannot host both Yggdrasil Hard and Yggdrasil Hard+ in the same day. This page was last modified on 21 May 2018, at 22:35.